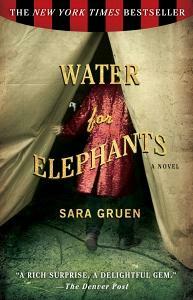 This entry was posted in Fiction, Novels and tagged Water for Elephants. Bookmark the permalink. Not worth the money! Read the book instead! Gordon, as a result of your blogging post, I decided to try the movie despite movie reviews. You were absolutely right. The movie was charming, and almost as good as the book. I thought that the actors were great as cast, and considering how much of the story had to be cut for the movie, the screenwriters did a great job of relating the entire story. Good call Gordon. Thanks!